That’s because although VLC has claimed that it could support H.265, the ability is not stable. So if you want a more smooth playback on H.265 encoded video in VLC, you’d better transcode H.265 to H.264 video with a H.265 converter. 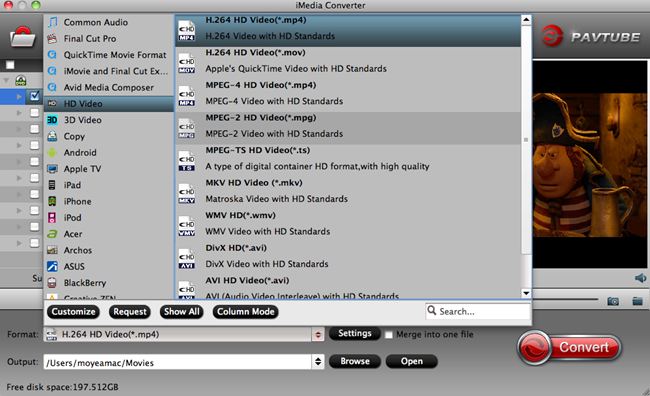 Pavtube iMedia Converter for Mac is a professional Mac H.265 converter. It can transcode H.265/HEVC to the more compatible but less-compressed H.264 video so that you can play your source H.265 video on VLC without hassle. Besides, if your H.265 video is 4K resolution and your VLC is not the newest version to play 4K, you can use this program to compress 4K to 1080p for VLC media player. This app has updated to support Mac OS X El Capitan so you needn’t worry that this H.265 to VLC converter will break down on the newest Mac operating system. How to convert H.265 to H.264 for VLC? 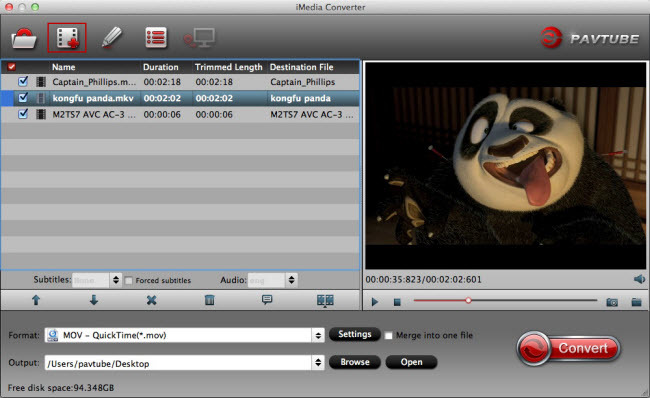 Launch the software on your Mac computer, click the “Load files” button or “Add video” button to add source H.265/HEVC files. Step 2: Choose VLC playable output format. For great video quality and smoothly playback considerations, you can select the H.264 as output format from “Format > HD Video > H.264 HD Video (*.mp4)”. Tip: Open “Profile Settings” window, you can adjust video and audio parameters. For example, if you need to compress 4K to 1080p, you can select “1920×1080” as the resolution for output file from Size(pix) drop-down list. Start H.265/HEVC to VLC Mac conversion by clicking the right-bottom convert button. Once the process ends, you can open the output folder to locate the generated video. Now, you can play your H.265 video on VLC with H.264 codec. For Windows users, please use the H.265 Converter for Windows. With the approaching of Christmas, Pavtube offers up to 40% discount for its top-selling Blu-ray/DVD/Video tools. You can click here to get the H.265 Converter, saving $13.